If you can’t be a pencil to write someone’s happiness, then try to be a nice eraser to remove their sadness. 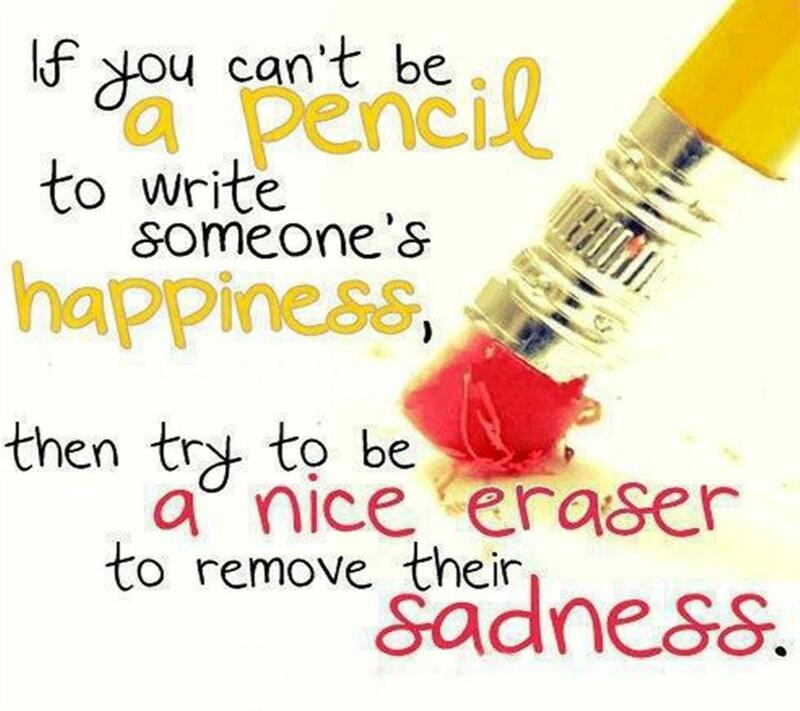 Quote : If you can’t be a pencil to write someone’s happiness, then try to be a nice eraser to remove their sadness. This entry was posted in Quote on August 9, 2014 by narongt1979.